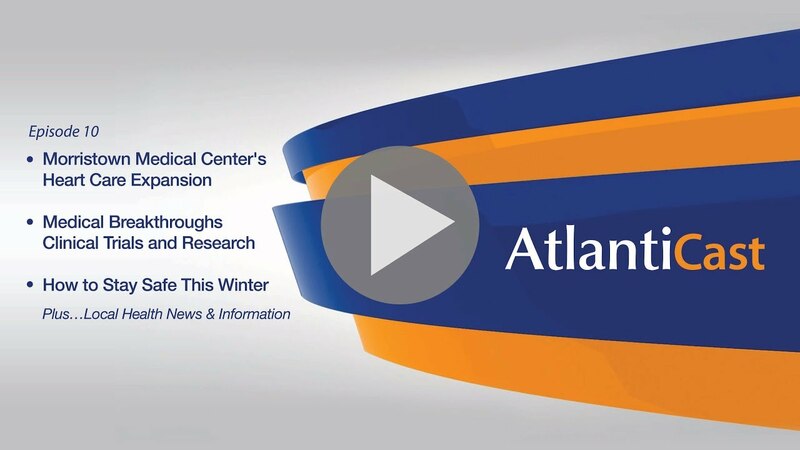 On this week’s AtlantiCast, we take you to the groundbreaking on an expansion for Morristown Medical Center, introduce you to the newest babies of 2018 at Atlantic Health System and share some must-see winter weather tips! in Morristown Medical Center is expanding. and space for best-in-class cardiac imaging technology. used a silver shovel to break ground. relocated from Morris Street to its current location. or transcatheter aortic valve replacement. failing heart valves without using open heart surgery. than any other hospital in New Jersey. towards solving tomorrow's health care challenges. happening right here at Atlantic Health System. into areas like cancer care, cardiology, and diabetes. To learn more about the symposium, go to atlanticast.org. healthier communities through better coordinated care. and more affordable care to the patients they serve. to provide high quality care in our community. off to a frigid start. and here are some tips to stay safe. The high winds we've had recently effect a cooling rate. Use windproof clothing to stop heat loss. The wetter you are, the colder you are. Staying dry means staying warm. from Newton Medical Center's Dr. Anthony Brutico. AtlantiCast Medical Minute, airing on News 12 New Jersey. and online local news outlets. of news video, cute dogs and babies. from across Atlantic Health System. The earliest was at 12:13 AM at Newton Medical Center. That was the third earliest baby in the whole state. to bring a little cheer and plenty of wagging tails. You really have to see this video. With the AtlantiCast Medical Minute, I'm Luke Margolis. of the most common things you see this time of year. slipping and falling on black ice. - And what are some things to keep in mind to stay safe? - Obviously, don't overexert yourself. If you need to take a break, certainly do that. to limit your trips to us. and Atlantic Health System best prepared to help folks? for all the community's health care needs.